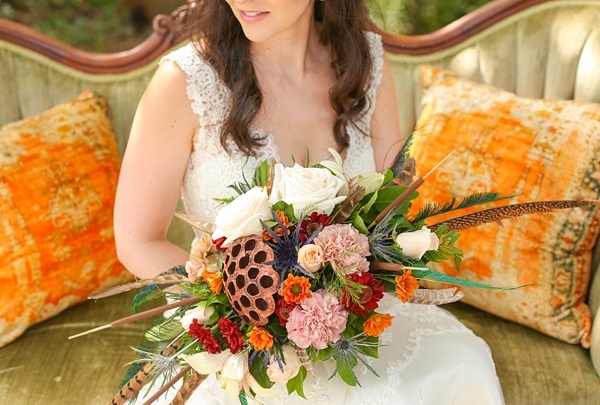 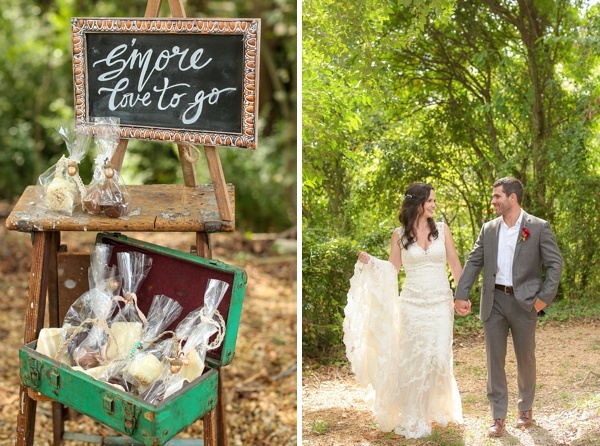 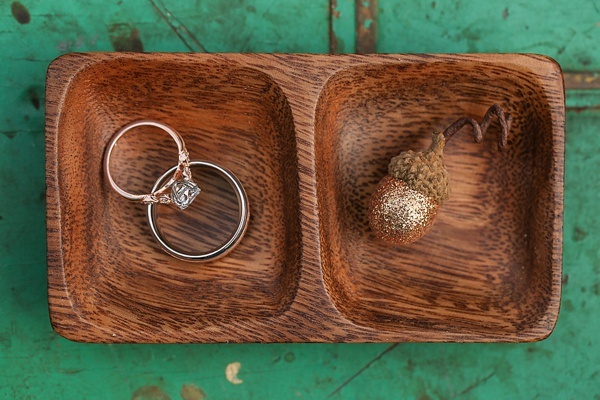 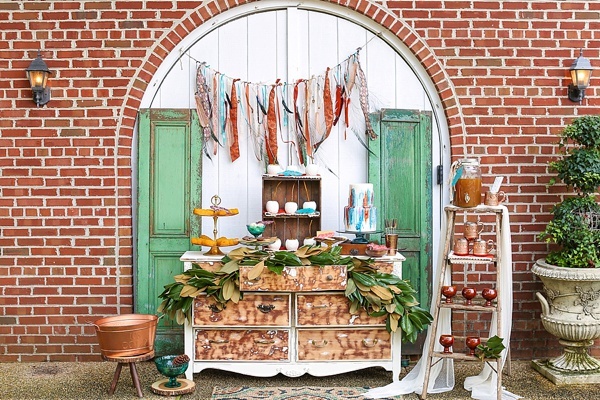 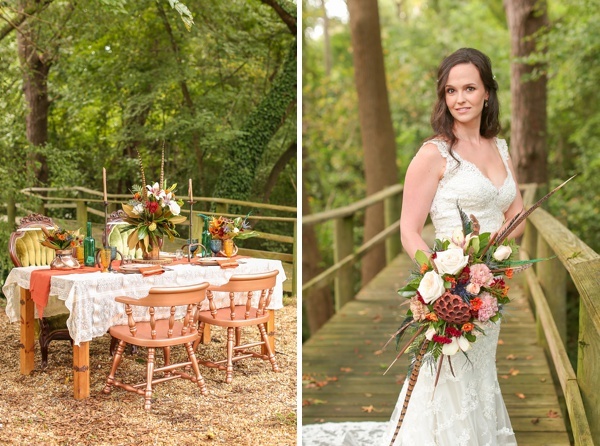 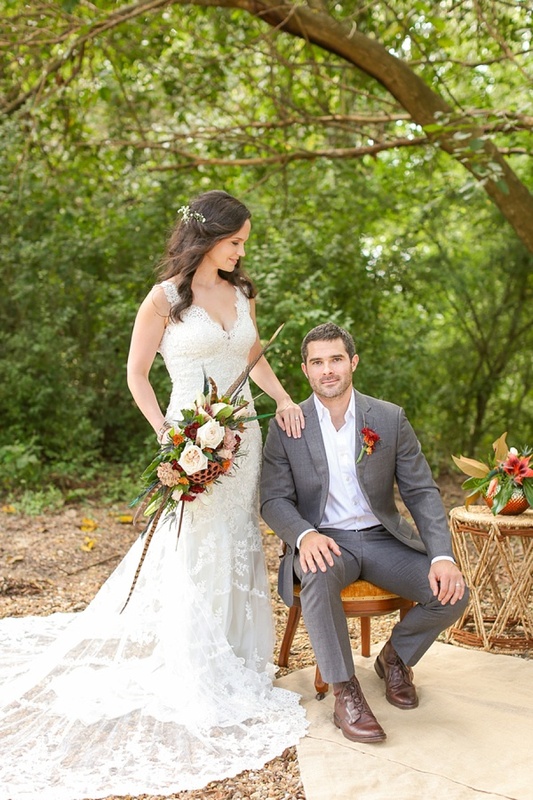 If today's wedding inspiration doesn't get you in the "Happy Fall, y'all!" 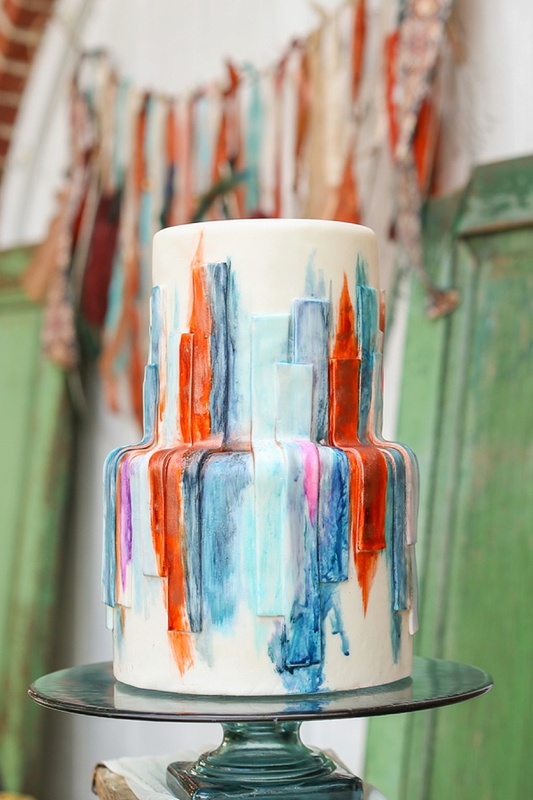 mood then we don't know what will! 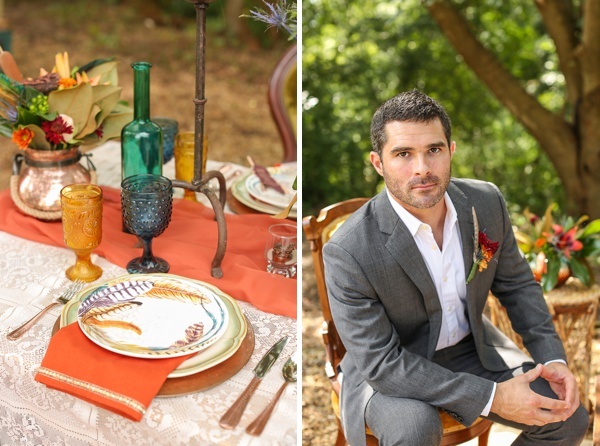 Coordinated by Hitch and Gather Event Specialists and captured by Fresh Look Photography, the rich autumnal color palette conveys a feeling of leaves falling and temperatures dropping. 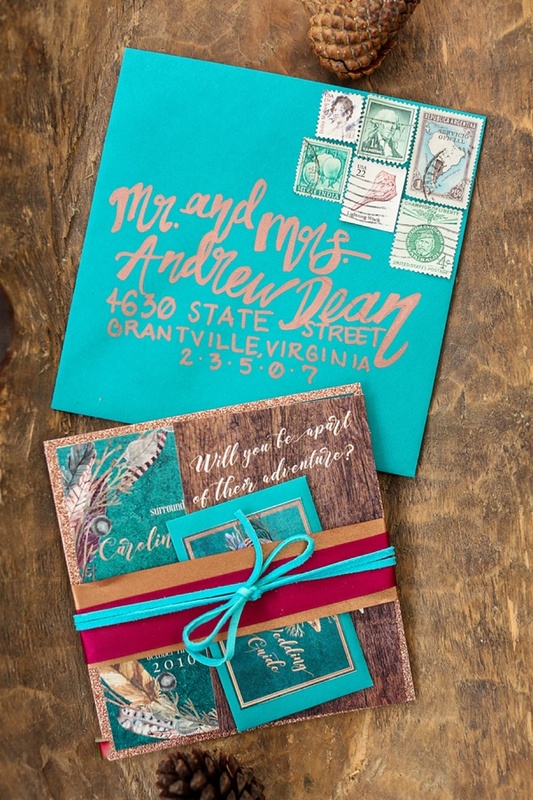 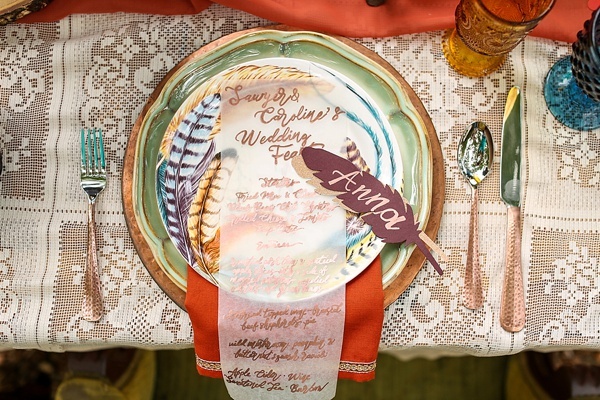 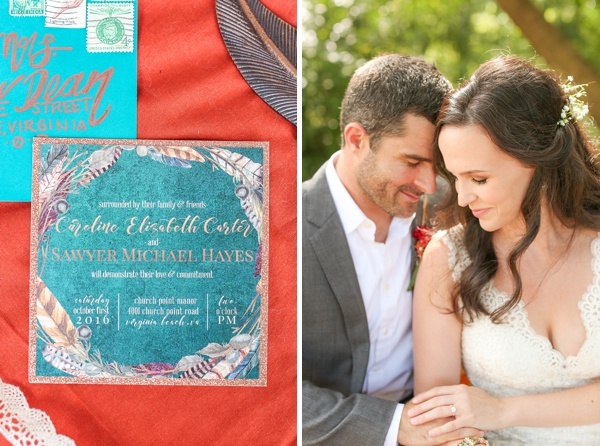 Beautiful teal and copper wedding invitations and calligraphy emblazoned with feathery appeal give guests the perfect prelude to this colorful celebration while an eclectic assortment of wooden vintage rentals, orange pillows and linens, and jewel-toned stemware set the scene for the ultimate vision of fall romance. 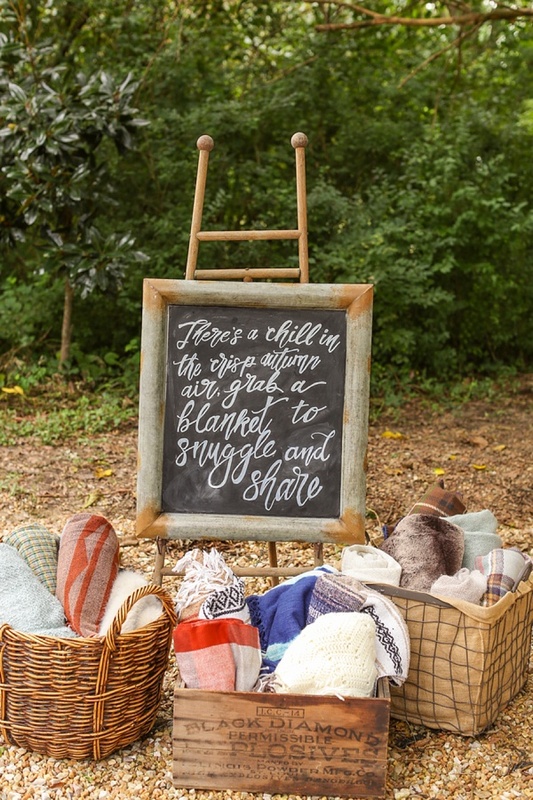 From snuggly blankets and hot cider channeling that cozy vibe to florals with pheasant feathers and dried lotus pods transporting us into a boho woodland wonderland, everything helps you smell that crisp autumn air! 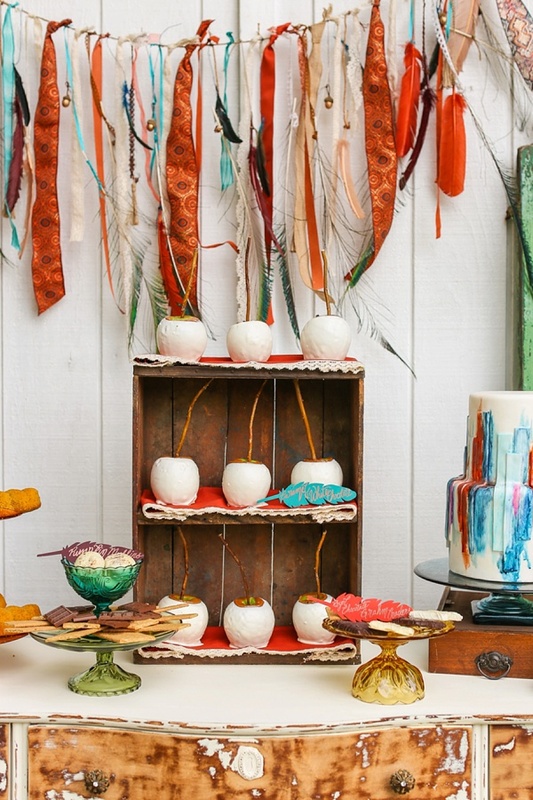 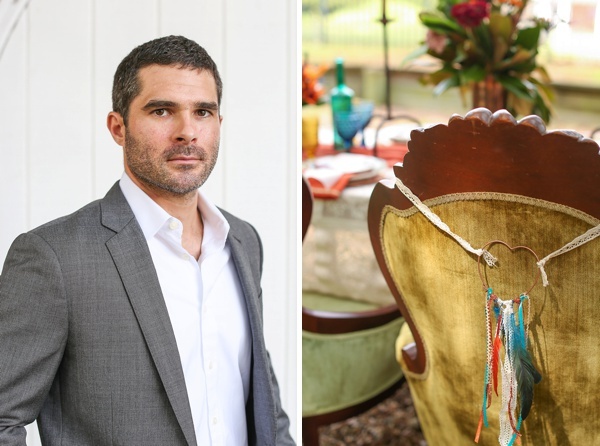 With the beautifully designed fall-inspired dessert bar with candied apples and chocolatey treats and soft feather and fabric garland as its backdrop, no detail was left out -- all of the five senses are certainly enticed. 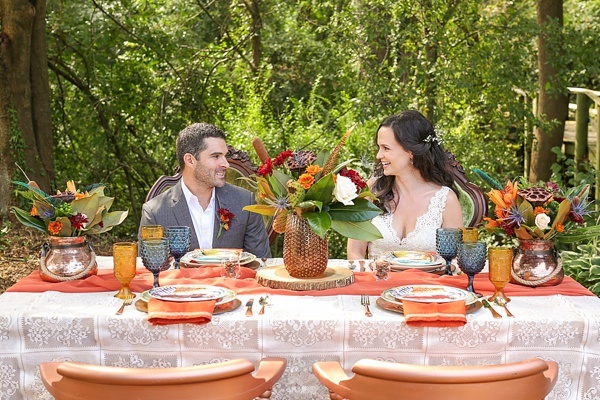 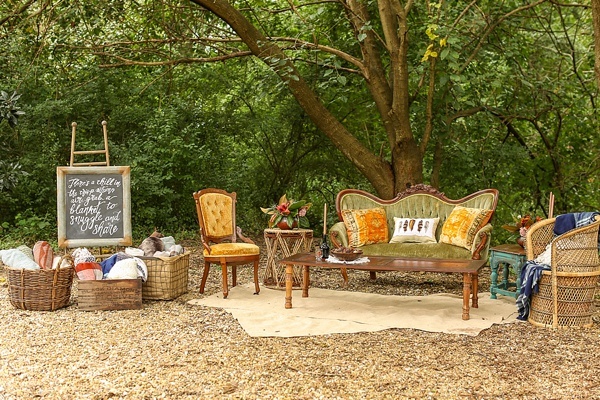 As the season sheds it warmth and puts on that comfy sweater, anyone looking to create a welcoming atmosphere at their fall wedding will be inspired by this beautiful shoot!